The Marigold Industrial Nitrotough N250B Nitrile-Coated Gloves are durable, oil-repellent and abrasion-resistant gloves designed for optimum dexterity and comfort. 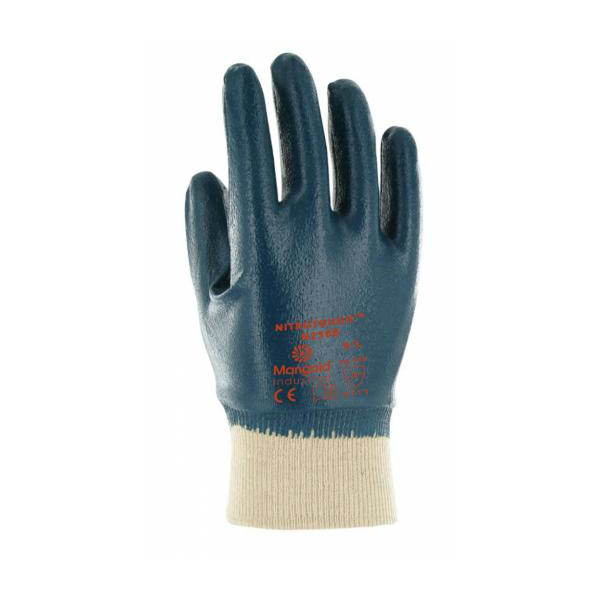 They are an excellent alternative to PVC and light leather gloves, and can be used for a broad range of applications in agriculture, machinery and construction. The table below shows the test results of the Nitrotough N250B Nitrile-Coated Gloves according to EN 388 Mechanical Risk specifications.